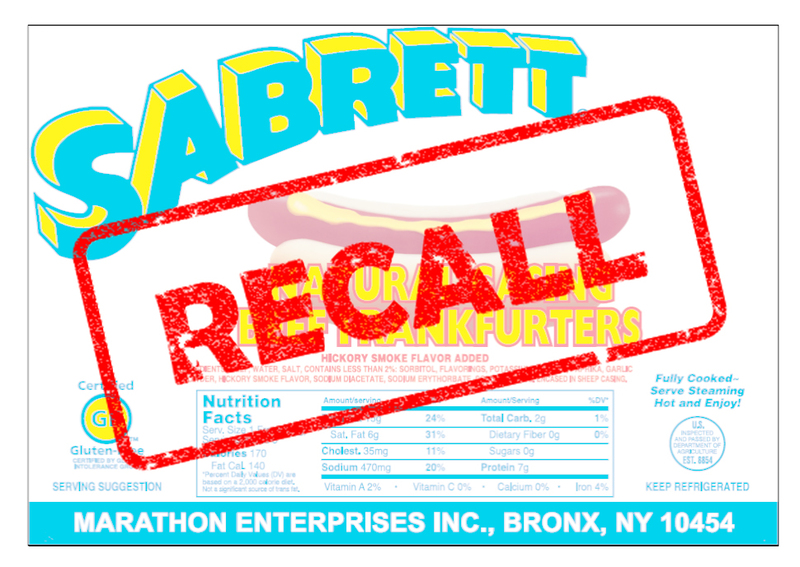 On Saturday the USDA announced a Class I nationwide recall of 7,196,084 pounds of hot dog products from Marathon Enterprises, Inc. 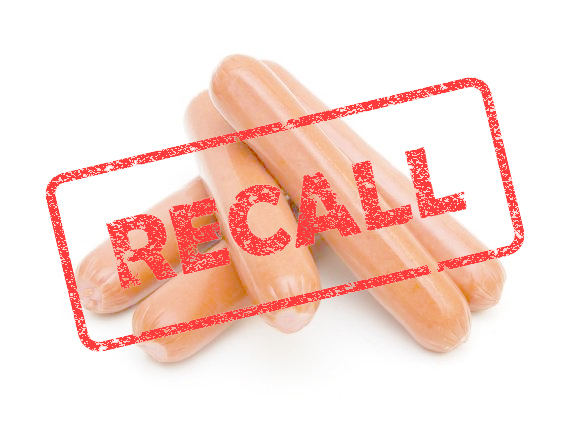 Produced between March 17, 2017 and July 4, 2017, the certain beef and pork hot dog and sausage items may contain bone fragments. The issue was uncovered via the FSIS Complaint Monitoring System on July 10, which stated that pieces of bone were found in the product. No injuries have been reported yet. FSIS has posted a full list of the recalled items on its website. Following three complaints of metal objects found in product packages, John Morrell and Co. has recalled about 210,606 pounds of ready-to-eat hot dog products. The following franks subject to the Class II recall were distributed to retail locations nationwide and produced on January 26, 2017: 14-oz sealed film packages containing Nathans Skinless 8 Beef Franks (use by date of August 19, 2017) and 16-oz sealed film packages of Curtis Beef Master Beef Franks (use by date June 15, 2017). Thus far there have been no reports of adverse reactions or injury as a result of consuming these products.